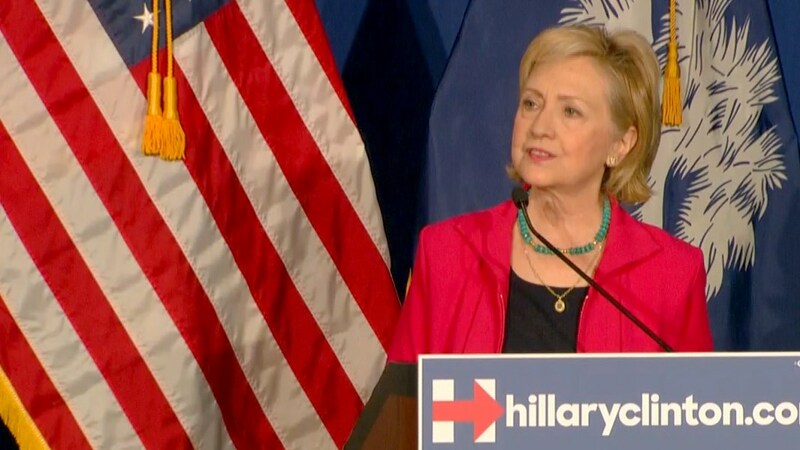 Hillary Clinton again weighed in on issues of race and justice Thursday, telling a crowd in South Carolina that Americans have to "dig deeper" to address enduring systemic racism. "Anybody who says we don't have to make any more progress is blind to what we need to do to deal with race and justice questions," she said at a campaign event in Columbia. At the outset of her remarks, Clinton also reiterated that "black lives matter," mentioning the "heartbreaking" death of Sandra Bland, a 28 year-old woman found dead in a Texas jail cell after a traffic stop. Officials say that Bland committed suicide; her family disputes that claim. The Democratic frontrunner's remarks come amid a roiling debate on the Democratic left about criminal justice reform and the words used by activists to talk about the impact of racism. Democratic rival Martin O’Malley apologized after saying "all lives matter" at progressive confab Netroots Nation, and another Democrat – Sen. Bernie Sanders – was booed and derided on Twitter by activists after he appeared to talk over protesters at the same conference. On Thursday, Clinton appeared to address one of the complaints those activists directed at Sanders, who has been criticized for focusing on economic issues over structural racial problems. "Economic inequality is a symptom of racism," Clinton said. "It is not the only reason for racism. Racism is much deeper, it's much more in the fabric of how people think and feel and act." "We shouldn't try to gloss it over or pretend that it'll go away because we're just going to be nicer to each other and we're just going to have conversations. No, we really have to dig deeper."